Address: Rua do meio 15, Mafra (Región Centro), Portugal. 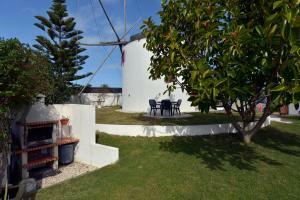 Featuring a garden, Feels Like Home Moinho do Mar offers accommodation in Ericeira with free WiFi and sea views. Guests staying at this apartment have access to a fully equipped kitchen. The apartment includes a living room and 1 bathroom with a shower. Sintra is 35 km from the apartment, while Cascais is 47 km away. Please note that a confirmation voucher will be sent to your email with all the important details about your reservation and Feels Like Home additional services. Please note that late check-in between 23:00 and 6:00 must be paid in cash and has a surcharge of EUR 30. Please note that all guests must provide their ID or passport information at the time of check-in.